Published on March 29, 2019 in Allenatori, Calcio, Corsa, Generale, Giovani, Mental coaching, Olimpiadi, Stress, Tennis and Tiro a volo. 0 Comments Tags: impegno, talento. Published on March 28, 2019 in Generale and Stress. 0 Comments Tags: benessere, Camminare, minuti, passi, salute. Smartphone data from over 68 million days of activity by 717,527 individuals reveal variability in physical activity across the world. a, World map showing variation in activity (mean daily steps) between countries measured through smartphone data from 111 countries with at least 100 users. Cool colours correspond to high activity (for example, Japan in blue) and warm colours indicate low levels of activity (for example, Saudi Arabia in orange). b, Typical activity levels (distribution mode) differ between countries. Curves show distribution of steps across the population in four representative countries as a normalized probability density (high to low activity: Japan, UK, USA, Saudi Arabia). Vertical dashed lines indicate the mode of activity for Japan (blue) and Saudi Arabia (orange). c, The variance of activity around the population mode differs between countries. Curves show distribution of steps across the population relative to the population mode. In Japan, the activity of 76% of the population falls within 50% of the mode (that is, between the light grey dashed lines), whereas in Saudi Arabia this fraction is only 62%. The UK and USA lie between these two extremes for average activity level and variance. This map is based on CIA World Data Bank II data, publicly available through the R package mapdata (https://www.r-project.org/).© 2017 Macmillan Publishers Limited, part of Springer Nature. Published on March 28, 2019 in Generale, Giovani and Stress. 0 Comments Tags: nuoto, plastica. British synchronised swimmers Kate Shortman and Isabelle Thorpe recreate their world championship routine among bottles, carrier bags and toiletries to highlight the problem of 8m tonnes of plastic being dumped into the oceans each year. Published on March 28, 2019 in Allenatori, Calcio, Giovani and Stress. 0 Comments Tags: Basket, leadership, rabbia, Tom Izzo, violenza. Michigan State head coach Tom Izzo had to be restrained by his players from going after freshman Aaron Henry. The heated exchange came after a 10-0 run by the Spartans. Izzo was furious with Henry for an unknown reason. From the looks of it, this isn’t the first time he’s gone in on the young forward. “Coach is filled with passion and emotion and love, you know, those are the main things that make him as great as he is,” Winston told reporters Friday. “When he’s getting after you or when he’s yelling it’s never out of harm. It’s never out of hate. It’s literally him wanting the best for you and him challenging you and pushing you the best you can be and it’s worked for years and years and years. There should be no place for abusive, threatening & intimidating leadership–anywhere! If Michigan State coach Tom Izzo “leads” like this in public, what does he do when no cameras are present? Published on March 28, 2019 in Allenatori, Mental coaching and Stress. 0 Comments Tags: edizioni Pozzi, movimento, professione, psicologia. Sport psychology is a scientific and professional field in continuous development, as many other areas of psychology and in the last 10 years occurred several situations that have changed this job deeply. This contribute will described seven areas protagonists of these changes. 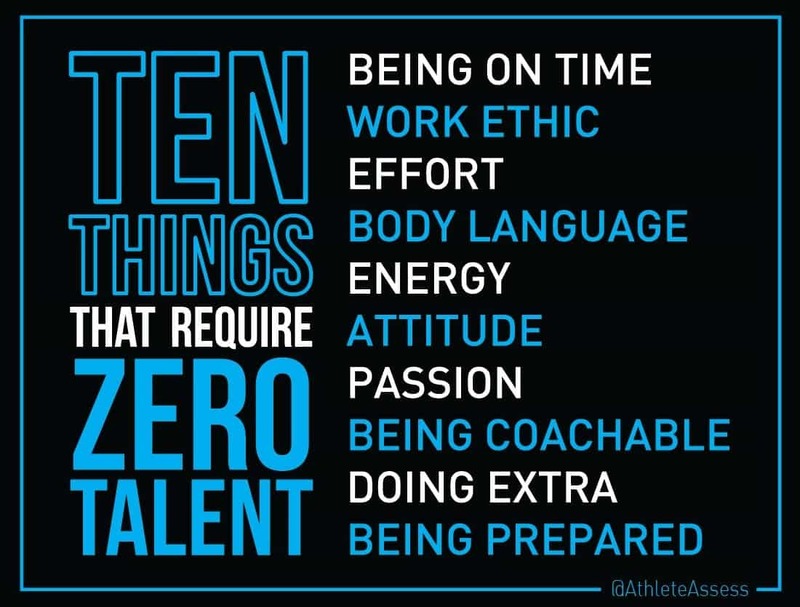 They refer to: sport psychology and performance psychology, the psychologist in youth programs, sport psychology, performance and stress management; sport psychology and mental health of athletes, sport psychology and disability, sport psychology and physically active lifestyle and sport psychology 4.0. The purpose of this article is to deepen the knowledge in the areas of sport psychology consultancy, providing cues for reflection in relation to where it’s going and how is moving this work context and stimulating the professionals to develop counseling programs, increasingly adapted to the new demands of the sporting world. Who is interested at this issue of Movimento devoted to the work of sport psychologists in Italy can write and will be linked to the publisher. Published on March 22, 2019 in Corsa, Generale and Stress. 0 Comments Tags: morte, salute, sedentarietà. “Strong evidence shows that physical inactivity increases the risk of many adverse health conditions, including the world’s major non-communicable diseases (NCDs) of coronary heart disease (CHD), type 2 diabetes, and breast and colon cancers, and shortens life expectancy. Because much of the world’s population is inactive, this presents a major public health problem. “Noncommunicable diseases (NCDs) kill 41 million people each year, equivalent to 71% of all deaths globally. Each year, 15 million people die from a NCD between the ages of 30 and 69 years; over 85% of these “premature” deaths occur in low- and middle-income countries. Cardiovascular diseases account for most NCD deaths, or 17.9 million people annually, followed by cancers (9.0 million), respiratory diseases (3.9million), and diabetes (1.6 million). These 4 groups of diseases account for over 80% of all premature NCD deaths. Tobacco use, physical inactivity, the harmful use of alcohol and unhealthy diets all increase the risk of dying from a NCD. Detection, screening and treatment of NCDs, as well as palliative care, are key components of the response to NCDs. Modifiable behaviours, such as tobacco use, physical inactivity, unhealthy diet and the harmful use of alcohol, all increase the risk of NCDs. Tobacco accounts for over 7.2 million deaths every year (including from the effects of exposure to second-hand smoke), and is projected to increase markedly over the coming years. 4.1 million annual deaths have been attributed to excess salt/sodium intake. More than half of the 3.3 million annual deaths attributable to alcohol use are from NCDs, including cancer. Published on March 21, 2019 in Allenatori, Calcio, Corsa, Generale, Giovani, Stress, Tennis and Tiro a volo. 0 Comments Tags: #Nonfaridere, Arcigay, Bruno Kessler. 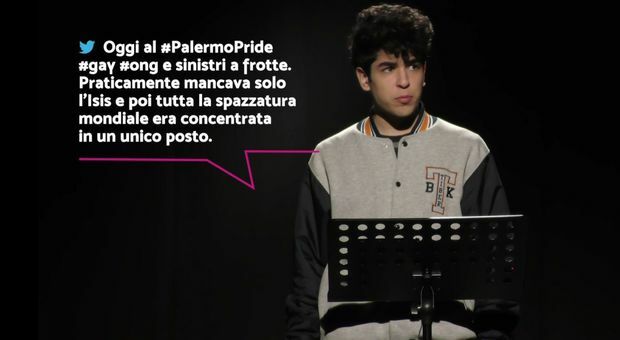 Fight against online hatred, in particular the messages that mask homophobia, lesbophobia, transphobia, bifobia with the veil of irony: this is the goal of the social campaign “Don’t make people laugh” (“Non fa ridere”) that Arcigay launches within the European project Accept created with Bruno Kessler Foundation. Published on March 21, 2019 in Stress. 0 Comments Tags: adulti, benessere, Camminare, salute. In my opinion, the simple action of walking should become one of the main challenges of our near future. A sedentary lifestyle has certainly become the most widespread activity in our world dominated by machines and technology. We also know very well the damage caused by a sedentary lifestyle. Moving has become so important, as well as being not very often sufficiently practiced, so that smartwatches remind us of it imperatively every hour. In USA, Americans take 5,117 steps a day, a distance of approximately 2.5 miles. That’s a significant shortfall compared to the averages in Western Australia (9,695), Switzerland (9,650), Switzerland (9,650) and Japan (7,168). Personally, I have an annual average of 11,988 steps a day, equal to 9,420km. Published on March 20, 2019 in Allenatori, Calcio, Corsa, Generale, Giovani, Mental coaching, Olimpiadi, Stress, Tennis and Tiro a volo. 0 Comments Tags: attivazione, piacevole, prestazione. It is not enough said that sports, but not only them, should arouse high levels of physical and mental activation and be perceived as pleasant. 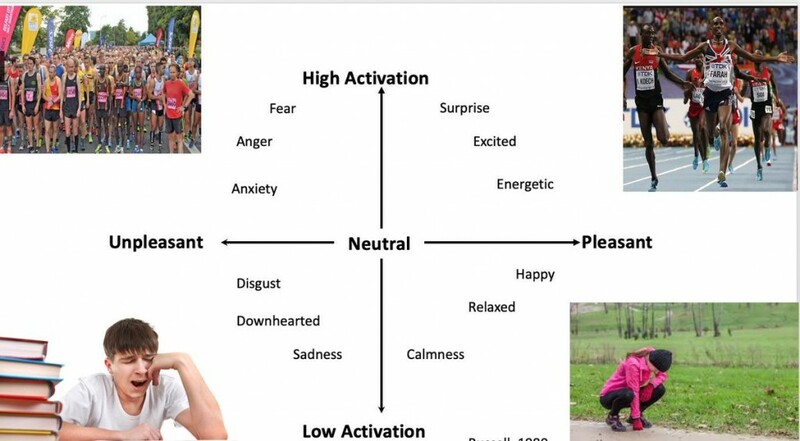 We know that many people are stimulate even through the feelings of anger and anxiety, I would say, however, that are not wellness-oriented and positive to teach the young athletes. Even the sports professionals (athletes of international level) have to learn to manage difficult times and competitive pressure with the same approach, taking pleasure and not suffering from their activities. What does it mean to be an athlete of the highest level and live performances with fear/anger and a feeling of unpleasantness. Published on March 16, 2019 in Generale and Giovani. 0 Comments Tags: #fridaysforfuture, scientists. “It’s the first time in my life that I’m about to sign a school justification for my kids containing a long, uncomfortable, list of scientific facts and a detailed biography.” So Holger Gies, professor of theoretical physics at the University of Jena, explains the personal endorsement at 180 German climate events scheduled within Fridays for future. Like him other 12,000 including doctors, professors, researchers, science journalists and economists of Germany, Switzerland and Austria today signed the maxi-appeal of support to environmental activists. More than 12,000 scientists have signed a statement started by researchers from Germany, Austria and Switzerland in support of the strikes, saying that those countries are not doing enough to keep global warming well below 2 °C — the aim of the 2015 Paris climate accord. Young people’s concerns are “justified and supported by the best available science”, it says. In New Zealand, more than 1,500 academics have released a similar statement. And last month, a letter from 224 UK academics published in The Guardian newspaper stated that the young strikers “have every right to be angry about the future that we shall bequeath to them, if proportionate and urgent action is not taken”. “As adults we have abjectly failed,” says Kevin Anderson, a climate scientist at the University of Manchester, UK, and Uppsala University in Sweden, and a signatory of the Guardian letter. Before most of the children who will be striking were born, scientists knew about climate change and how to respond to it, says Anderson. But a quarter of a century later, people have collectively failed to act — and humanity is running out of time if it is going to restrict warming to 2 °C, he adds.